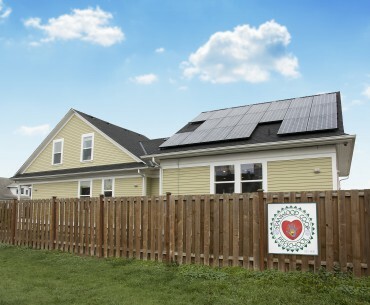 Our July Featured Project is a simple 12kW system in Bellingham. 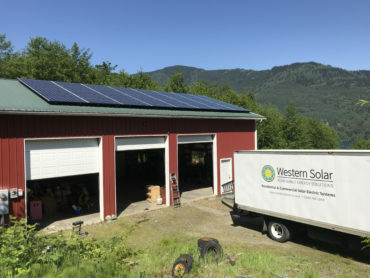 Customers Doug and Bridget have a great solar resource on their property, with a large southwest-facing shop roof and little shading. 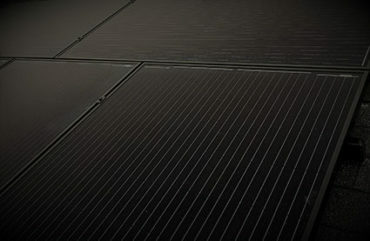 Our June Featured Project is a unique three-story Bellingham home, sporting Itek Energy 295 watt Black on Black solar panels and sleek design. 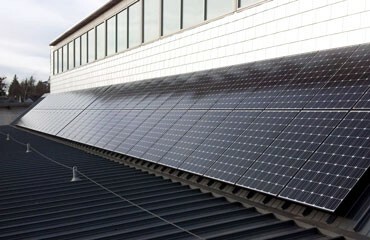 Let’s Install the Next Planet Power Solar Project! 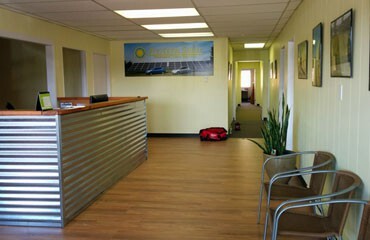 Since opening in downtown Bellingham, we’ve been steadily expanding and need more space. 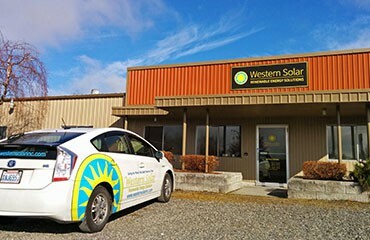 Next week will find Western Solar relocating to North Bellingham! 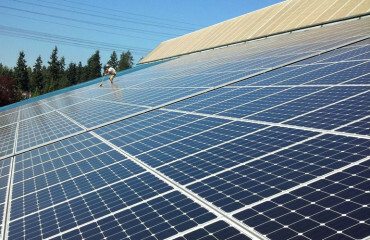 Skagit County solar is making great strides with the completion of two new Skagit County Community Solar Projects in Anacortes, installed by Western Solar.